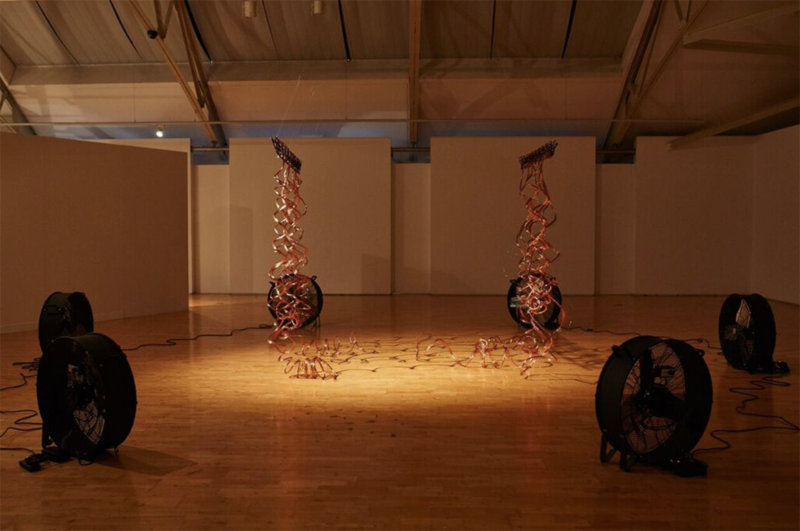 "Millennium Court Arts Centre is delighted to present ‘Exhuming the Archive’ a new solo exhibition by Belfast based artist Jiann Hughes. An ode to the digital memories we’d rather forget, this new body of work considers the earth as planetary memory storage, containing the haunting remains of dead new media. 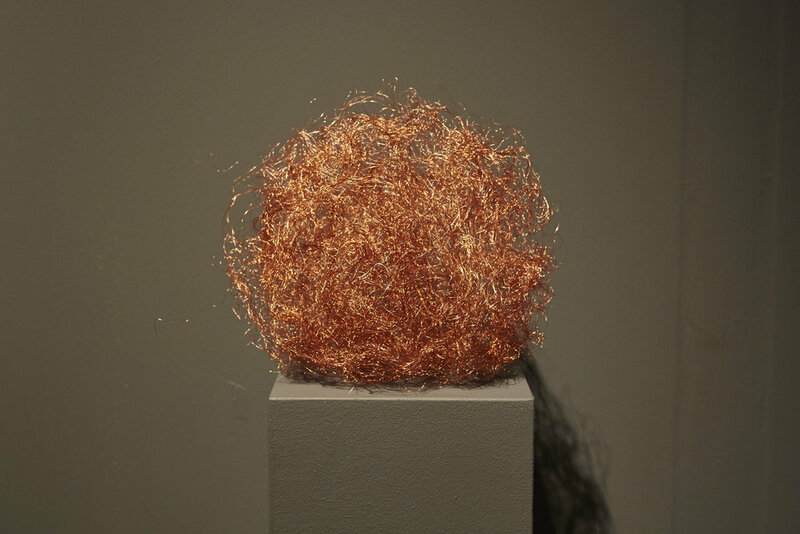 The installations that Hughes has created memorialise the unstable materials relied upon for today’s memory making. They are kinetic and living monuments to the invisible labours and persistent materials that support our remembering: to the stuff that resists decay, refuses to be forgotten, and refuses to let us forget. 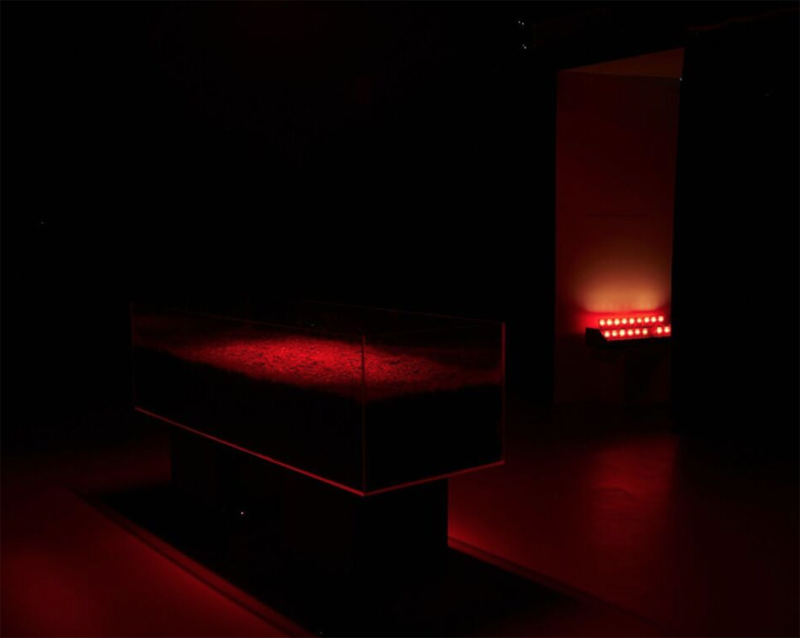 This exhibition follows recent work in which she exploited computer code to address the ubiquitous data mining processes of our biocapitalist sensor society. Through these new works Jiann continues to open up the black-boxes of digital technologies to reveal the structures, practices, and materials within our contemporary media ecologies. She strips away the rhetoric that claims a dematerialisation of digital archives to reconfigure the matter of our electronically-aided memories.